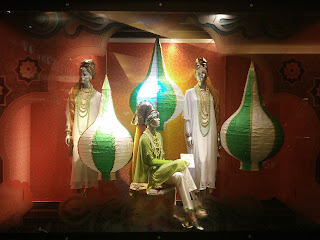 Starting from last week's Saturday, Moslem around the world entered the month of Ramadhan that is the fasting month. Indonesia with its large Moslem community embrace this month with various festivities and decorations especially in shopping malls. 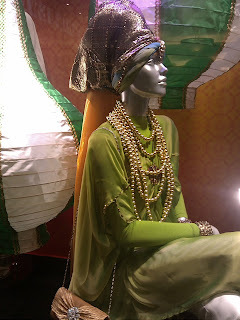 One of the example is the window display from Matahari Department Store in Mall Taman Anggrek. 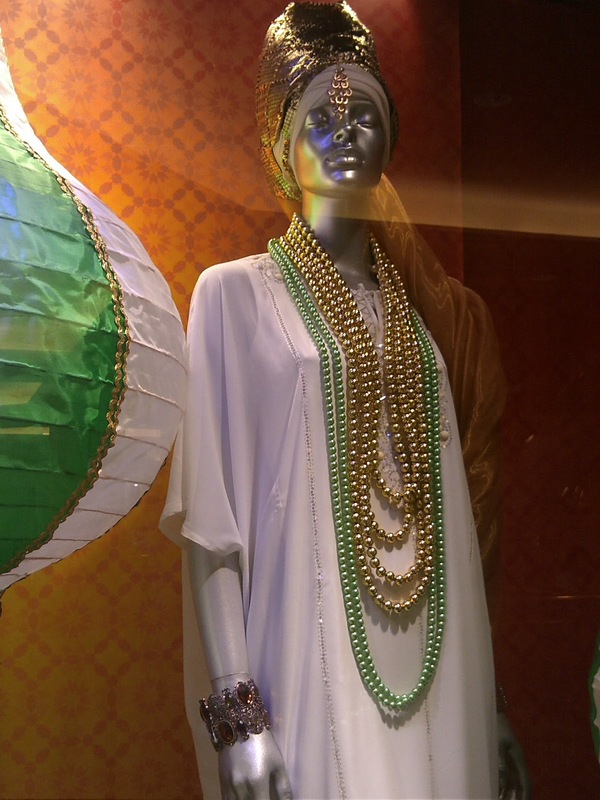 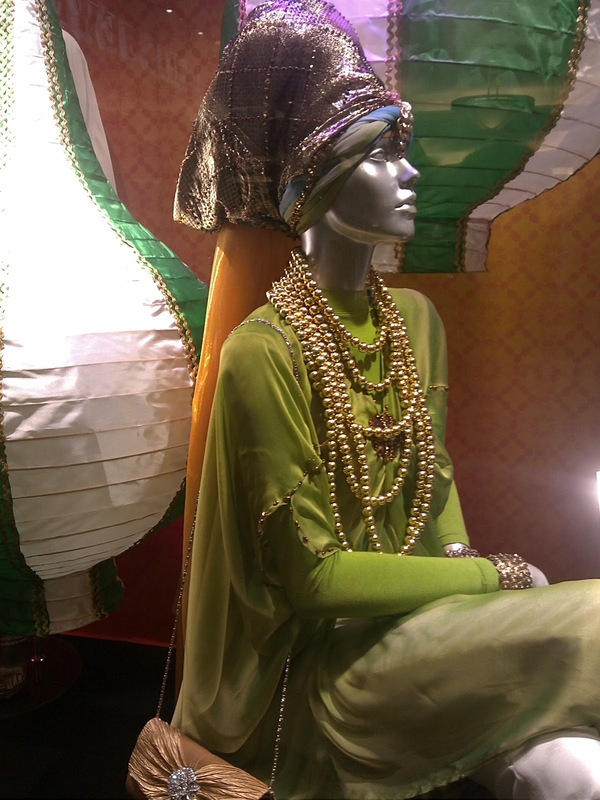 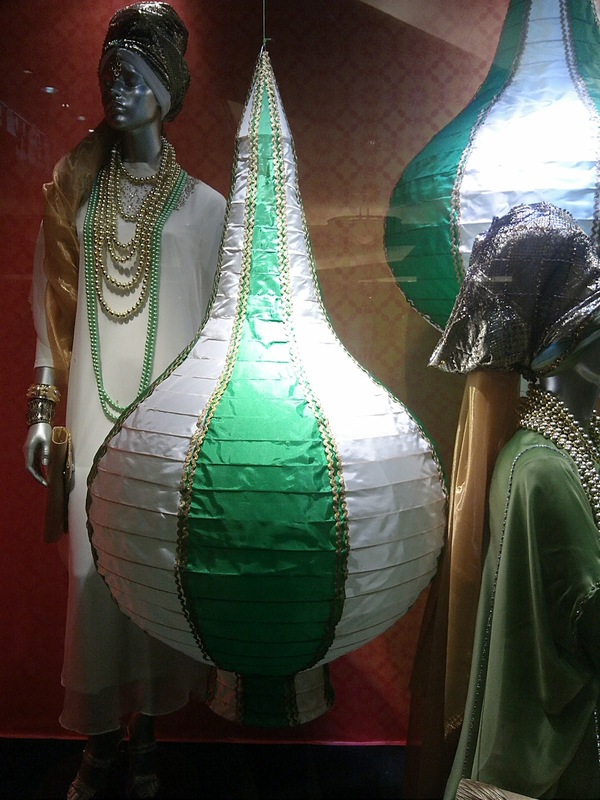 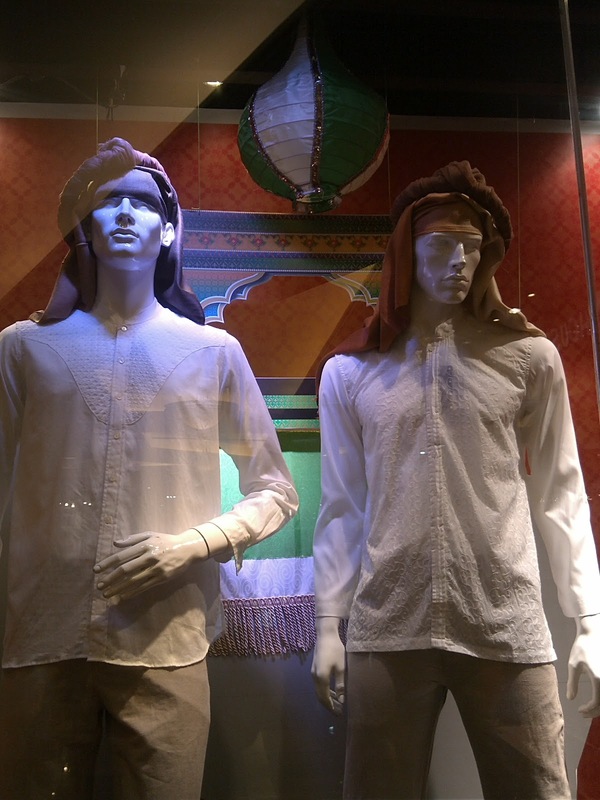 Mannequins are wearing Islamic style clothing that is done in Indian style. Women with veils put layers of faux-pearl necklaces on their neck. 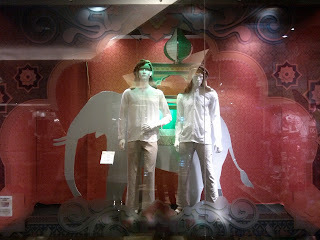 While, men are standing with the elephant to transport them.